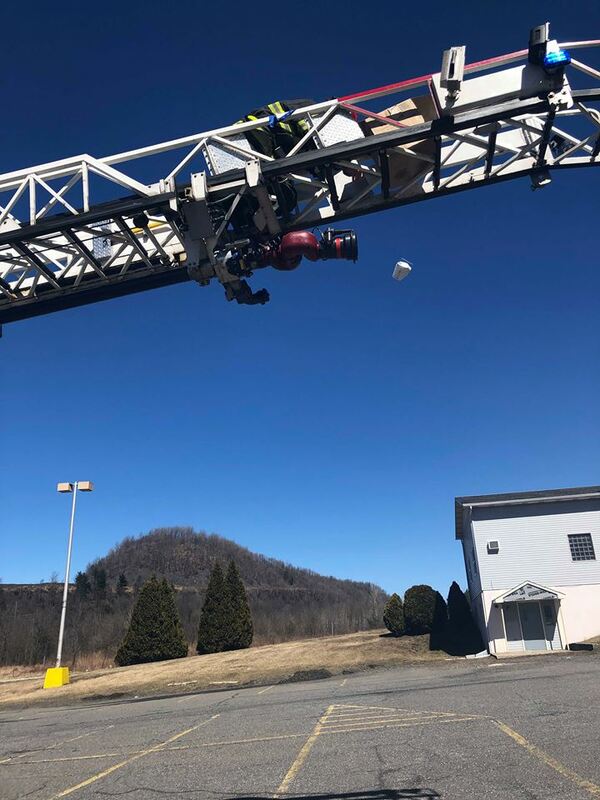 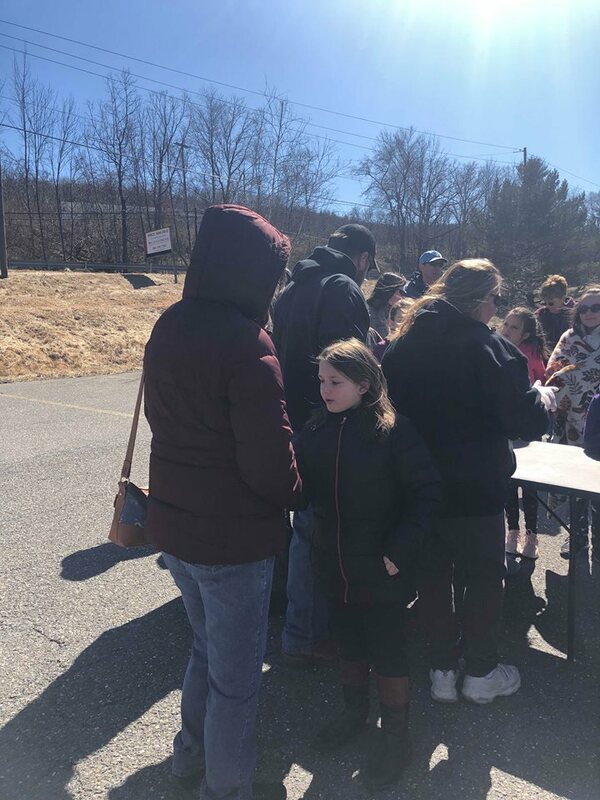 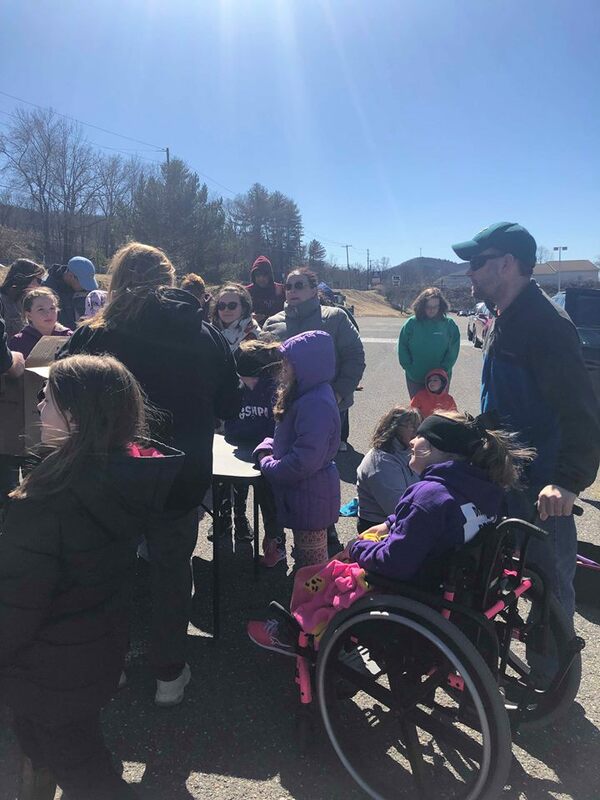 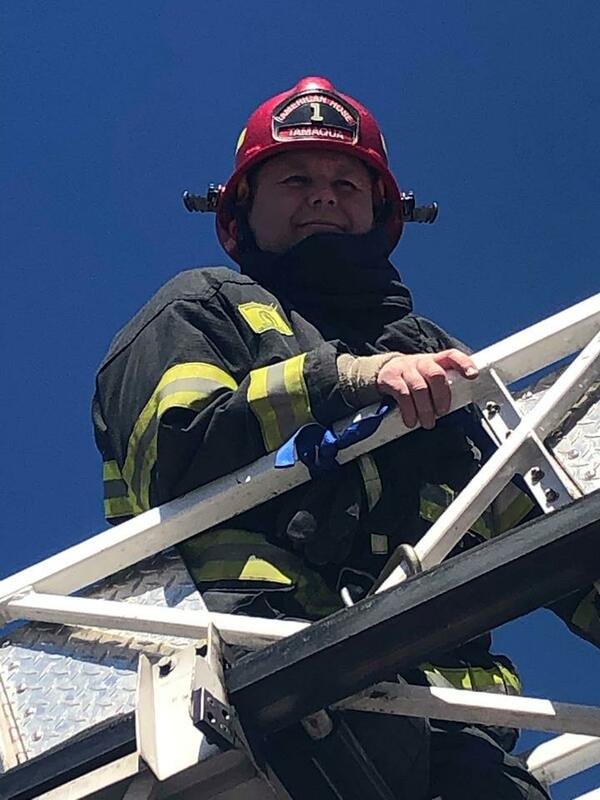 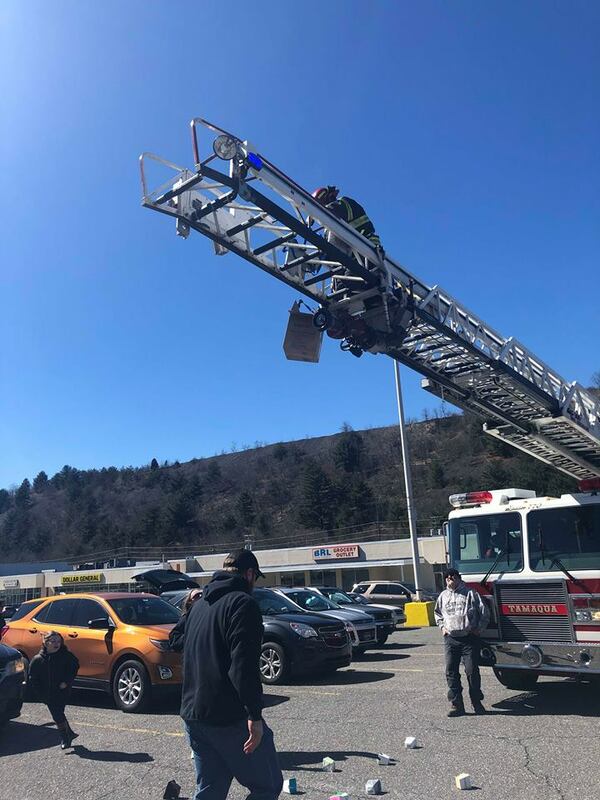 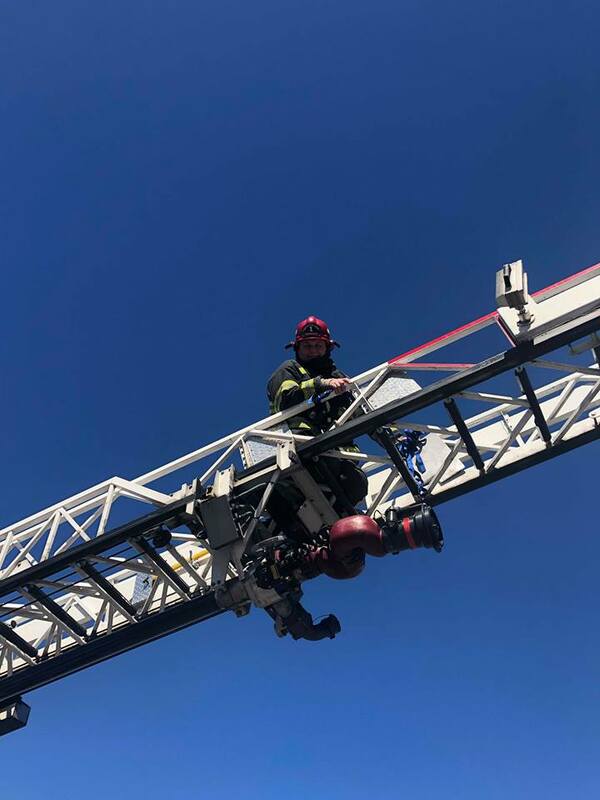 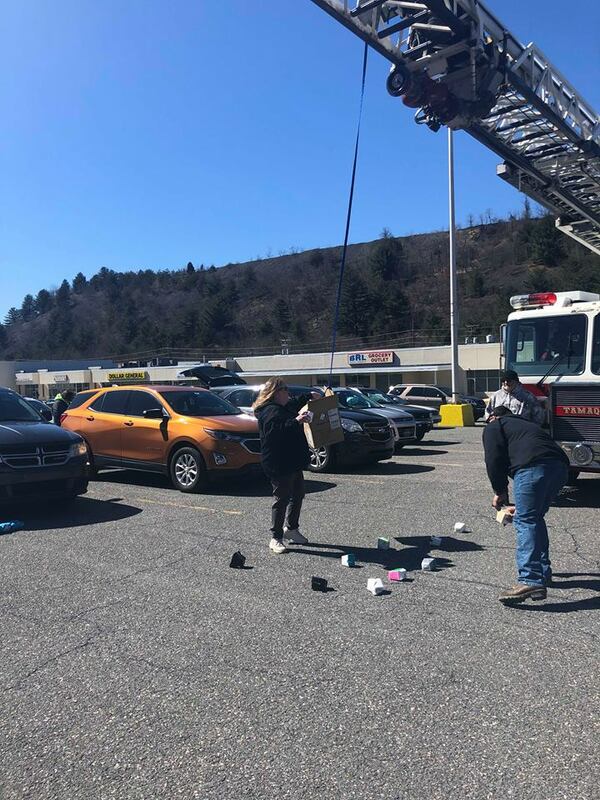 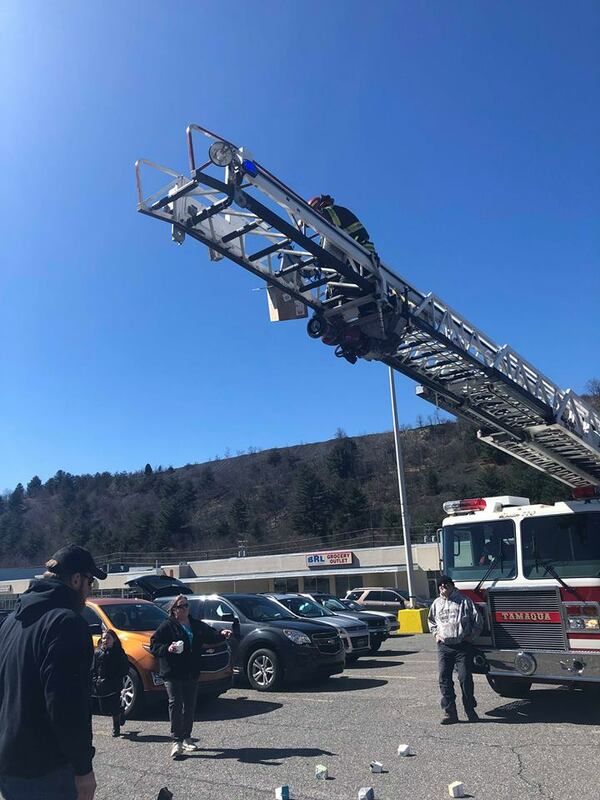 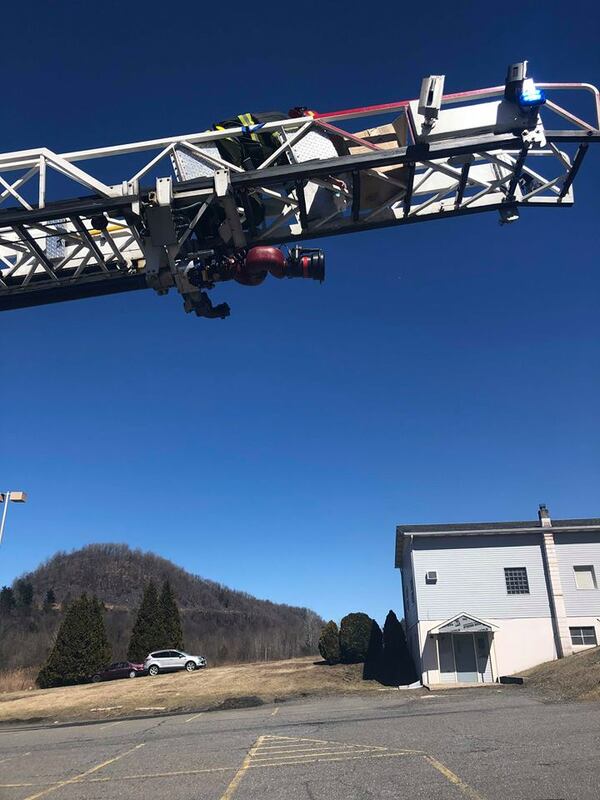 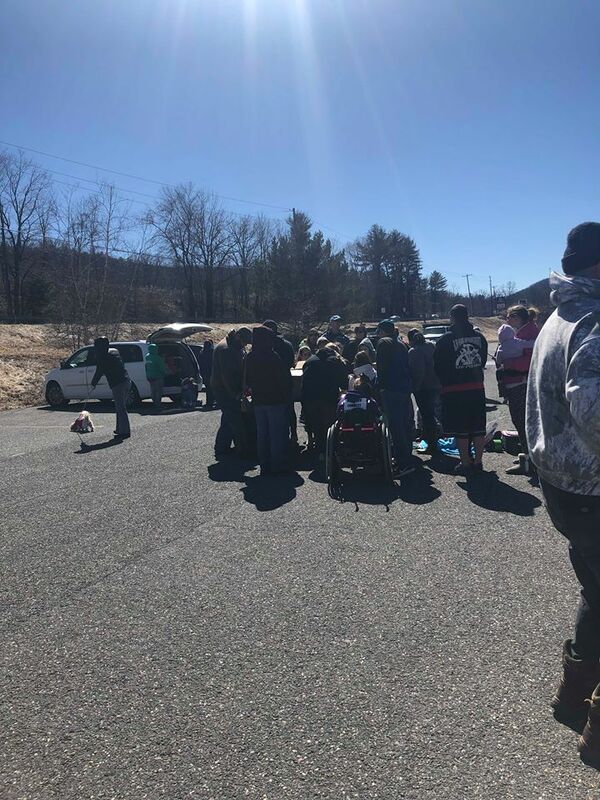 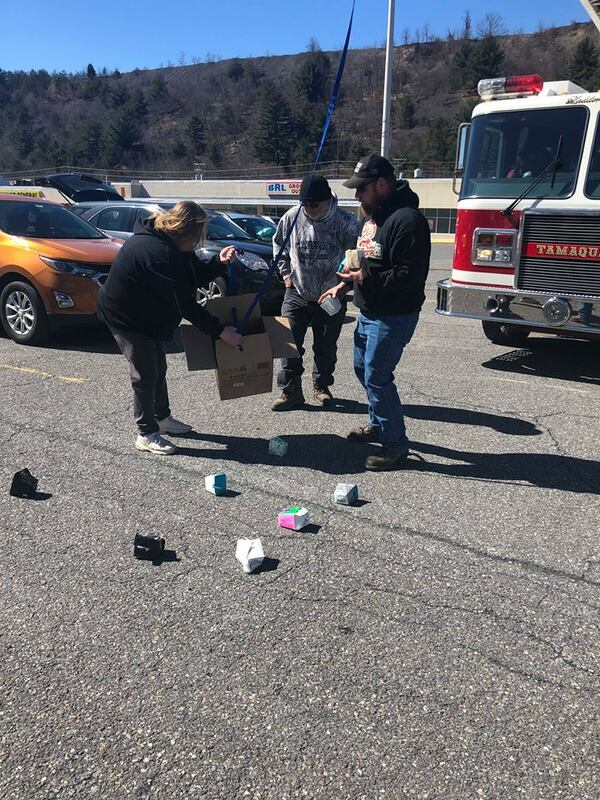 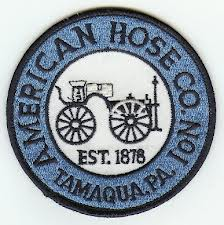 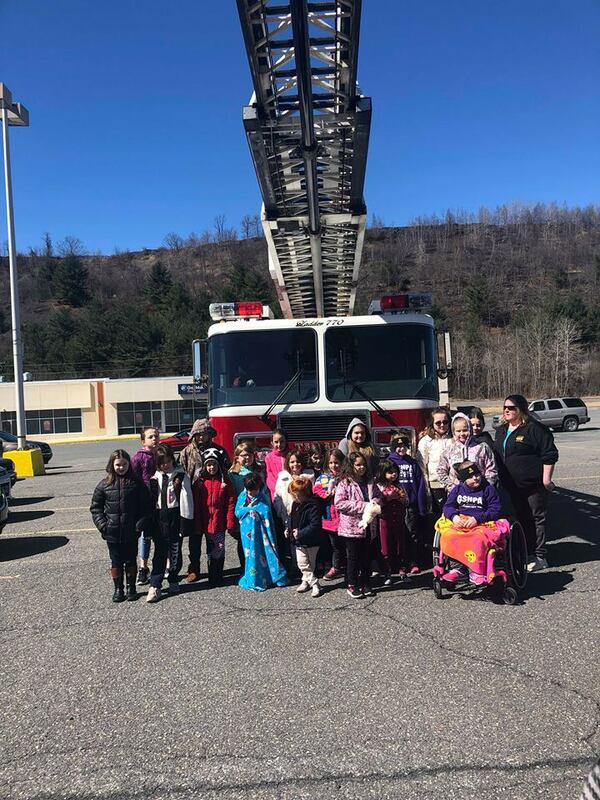 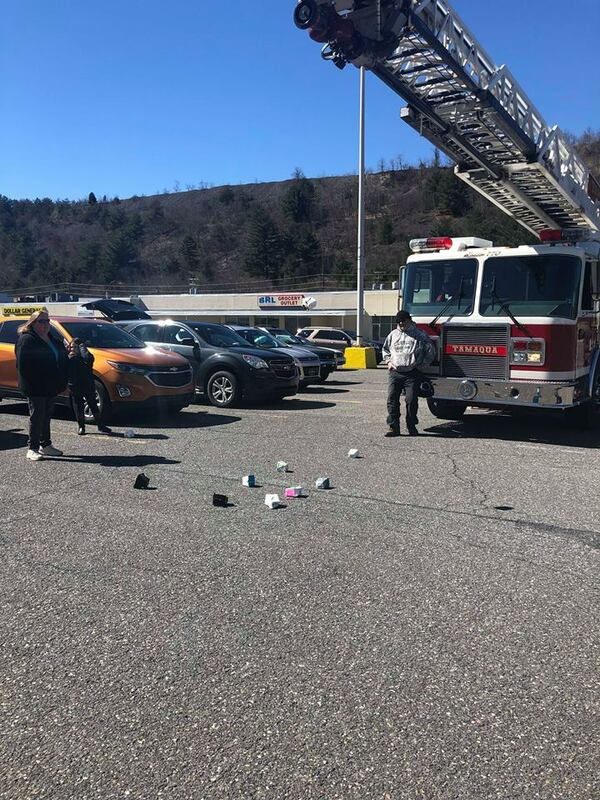 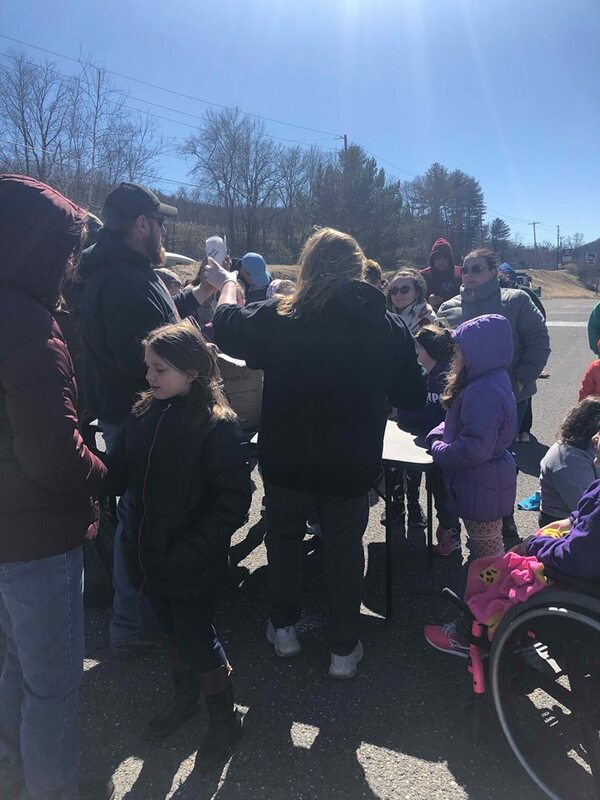 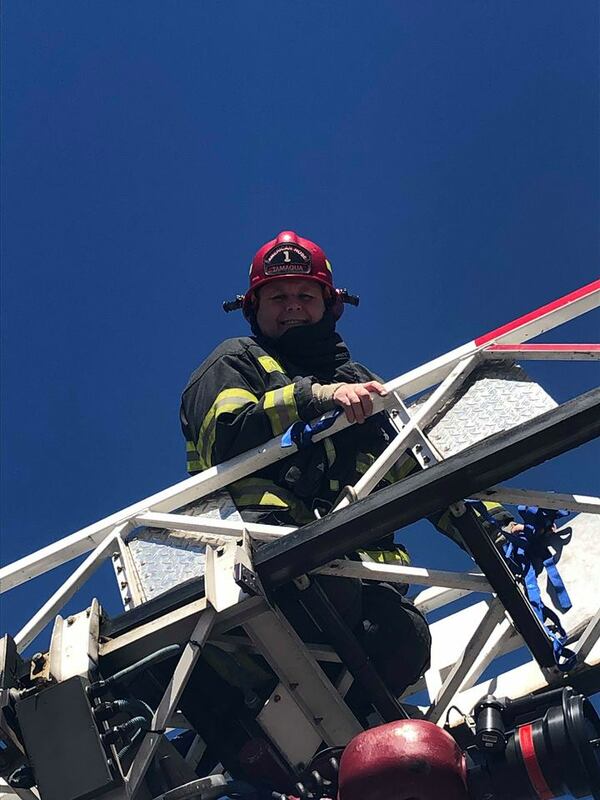 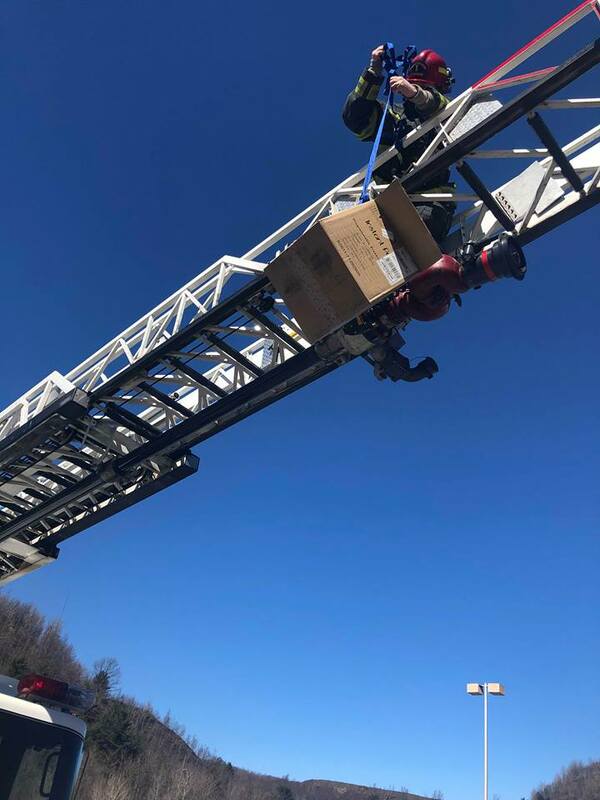 This past Sunday, members of the American Hose Co assisted the Girl Scouts, troop leaders and family from Troop 30975 with their annual egg drop. 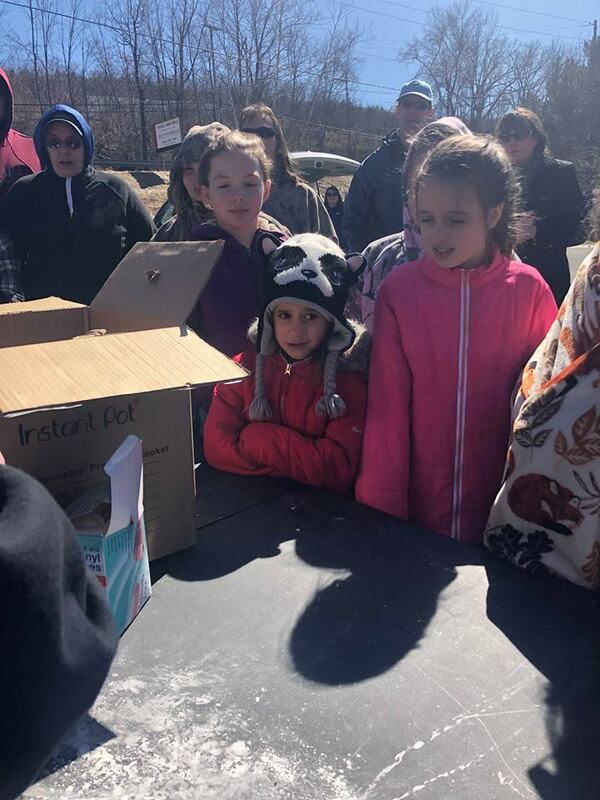 Each scout packed an egg in a take out container, using all kinds of materials to protect the egg from a fall. 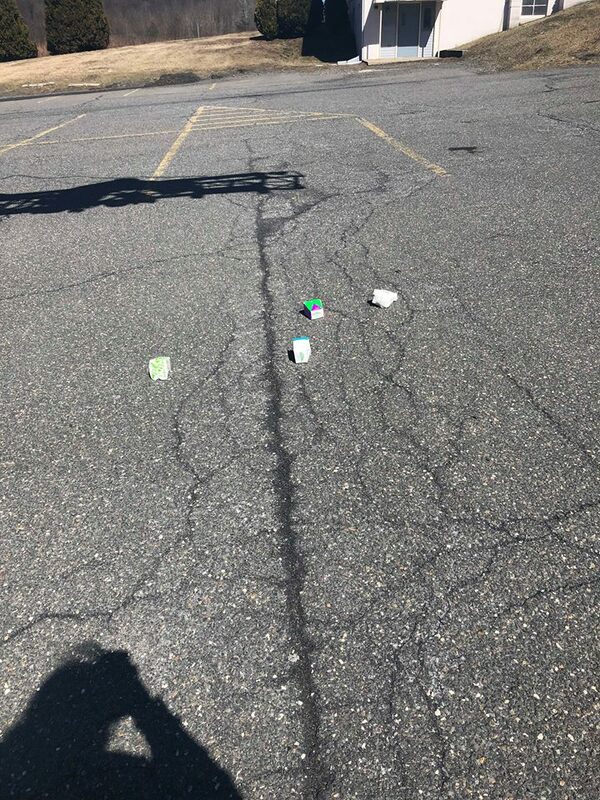 Each container was dropped one at a time from different heights. 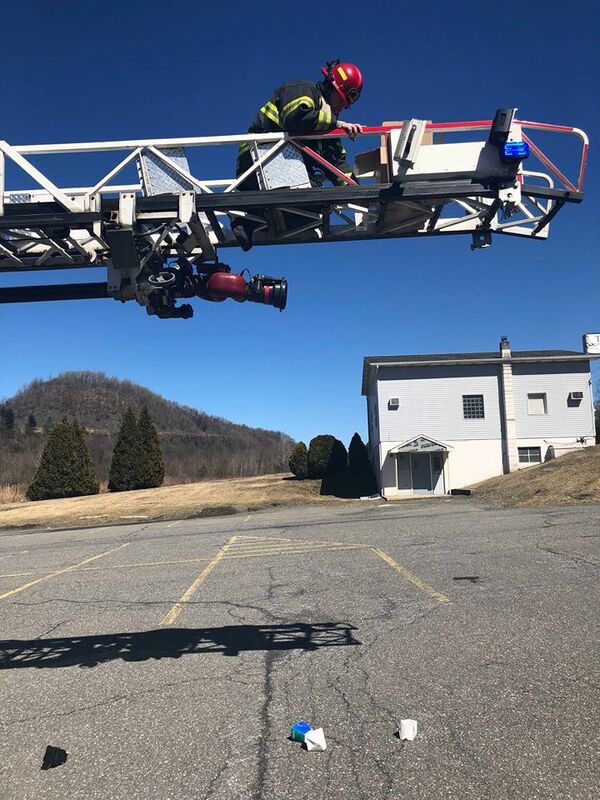 The first drop was at 10 feet and the next was at 15 feet. 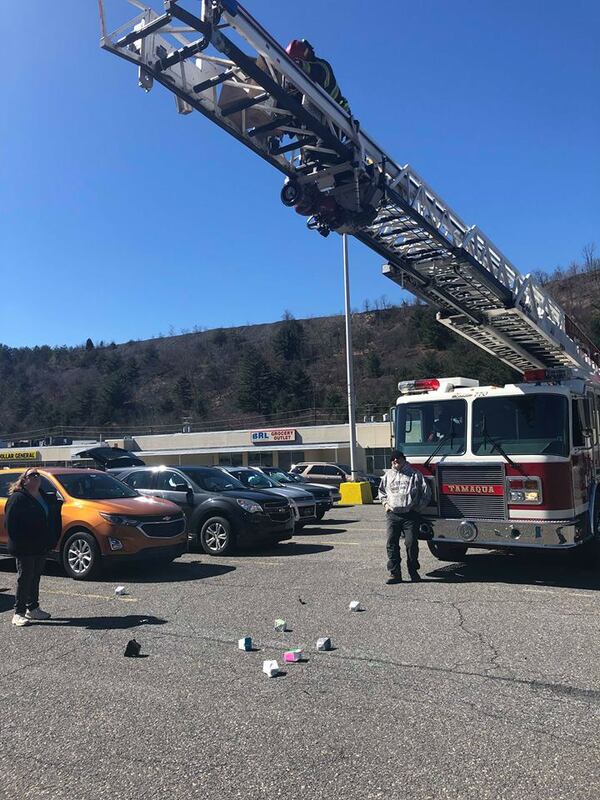 2 eggs survived the 15 foot fall, unfortunately neither survived the fall from 20. 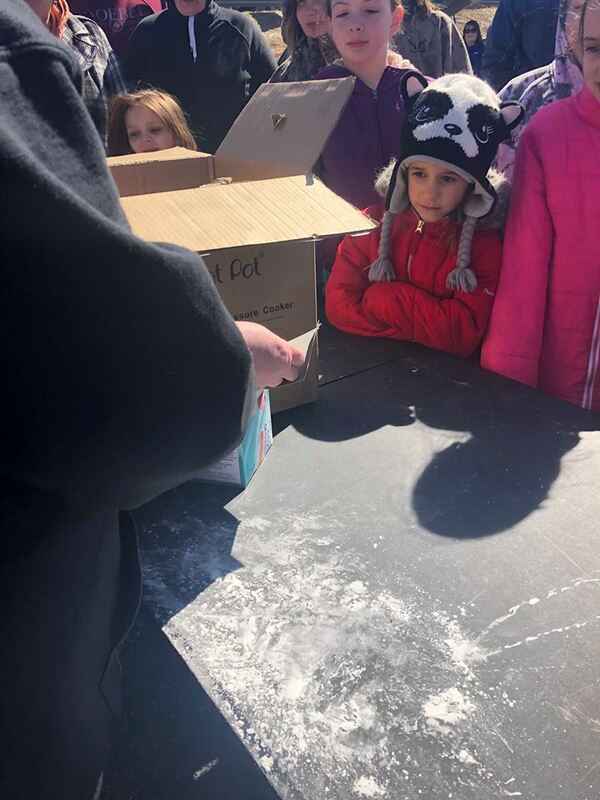 After each drop, the eggs were inspected and carefully repacked in the same container.